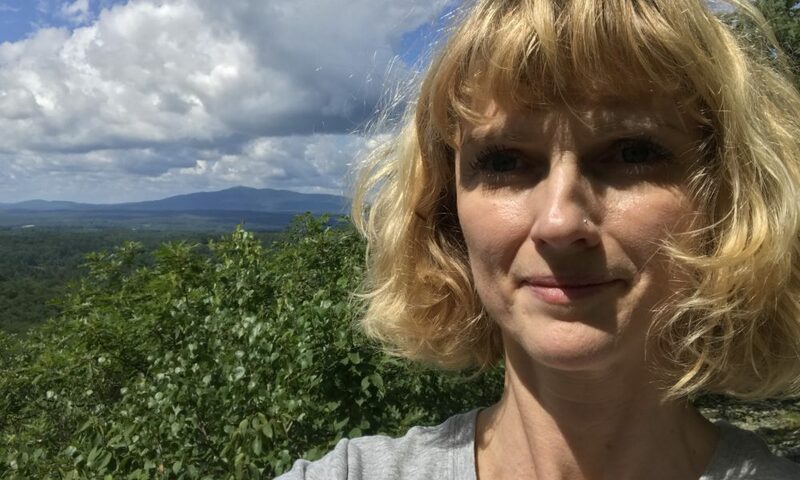 Today we’d like to introduce you to Mara Sievers. Mara, let’s start with your story. We’d love to hear how you got started and how the journey has been so far. I took my first Pilates mat class in Vienna, Austria during my time in college. I was studying musical theater at the time, and Pilates was recommended to strengthen my dance technique. In dance everybody talks about moving from the “center” and I had always wondered what the heck that meant. I finally figured it out in that first Pilates class. Pilates strengthened my core like nothing else before had and finally this instruction made sense because my body had a newfound ability to connect the upper and lower halves of my body. After I graduated college I was offered a dance part in the musical theater show “Jekyll & Hyde” in Bremen, Germany. I danced 8 shows per week wearing a corset and high heels on a raked stage. Not the best conditions biomechanically speaking and after a few months of that, I woke up one morning and couldn’t lift my leg more than 45 degrees from the floor without pain. That’s obviously not enough for a dancer. An MRI showed a bulging disc in my lumbar spine. There had been absolutely no warning. I just one day woke up and couldn’t dance anymore. As you can imagine I was very distraught. My career as a dancer was on the line. It sparked my curiosity to figure out what happened to me, aside from the need to get better fast. (I ended up being out sick for three weeks. After that, I went back to the show, but as one of the chorus singers until I had recovered more fully and was able to resume my original part in the show.) In the initial phase of healing, the only three activities that I could do without pain were gentle yoga, swimming, and Pilates. Let’s fast forward three years, and I’m the cliche of an artist struggling to find enough work to support me with a lot of time on my hands during the times when I was looking for work and auditioning. I decided to become a group fitness instructor, as well as Pilates mat and yoga instructor. These training courses gave me an anatomical background that I hadn’t received before and I started to understand why my back had given out several years back and what I could do to get even better. Attendees of my group fitness classes came up to me after class all the time and told me how much they enjoyed my teaching. This was such a different experience than auditioning in front of a poker-faced theater crowd. I was hooked. I felt I had something to offer that people wanted and needed. From then on I continued to study and take courses, which sort of never stopped. I finally got comprehensively certified in Polestar Pilates after my move to the US and I opened my studio in Concord, New Hampshire in 2011. My focus now is to help people whose bodies hurt. They know I can relate to them because I’ve been in their shoes. I’m also naturally a very empathetic person which makes my students trust me. I love figuring out why they hurt, which muscles are overworked, which are too weak, which too short, or too loose and from there develop a plan for their recovery. Every single day my students report stories of improved quality of life. They’re able to hike again, climb stairs without knee pain, get rid of ankle pain, calf cramps during the night, less neck or low back pain, or improved shoulder function. The list is really endless. Pilates helps you “return to life”, the title of one of Joseph Pilates’s books. Growing a business includes many struggles. Especially, as it is the case for most Pilates studio owners, as we don’t get into this business because we’re interested in business per se. We want to teach and then we end up spending most of our time running the business versus teaching. We have plenty of Pilates training, but know nothing about marketing, bookkeeping, staff management, customer service etc. I had to learn everything from scratch. In the beginning, I was extremely motivated to learn and grow my business. I built websites, did social media marketing, wrote e-newsletter and much much more. Initially, I worked 7 days per week, then 6 and eventually, only a few years ago I finally was able to reduce my teaching to 5 days per week. When one of my main teachers left the studio in the fall of 2016, I took over all of her classes and clients, which brought my workload up to 10 clients (hours) per day, 4-5 days per week. I know that 10 hour days might not seem outrageous, but if you ask any teacher, they can confirm, it’s an outrageous amount. You have to be mentally focused and present every single minute. Even though I don’t exercise with the client, I’m on my feet all day and I talk all day. I have to guide the student through every single repetition with my voice, helping with adjustments, setting up springs etc. I thought I could do it. I’m a hard worker. Earlier this year I finally paid for misusing my energy like that, I suffered from severe adrenal fatigue, or “burn out”. My body pretty much shut down.For the next 3-4 months, all I had the energy for was teach the average 6 hours per day – and many of those days I felt like I was sleepwalking. I could barely keep my eyes open. After work, I went home and collapsed onto my couch and slept for 2 hours, before eating dinner, and going to sleep again, so I could make it through the next 6 hour day. I now call this my “lost time”. It’s now nine months after the beginning phase, and I still haven’t fully recovered. This was a huge lesson for me. I think we wear exhaustion as a status symbol. The more we have to do, the less time we have, the “cooler” we are, the more needed we are, the more worthy we feel. I now try to warn everybody by telling them my story. This is really not something you want to have to go through. There are enough things in life that happen to us that we don’t have control over, but this was absolutely my own fault. And I’m paying for it for about a year, if not longer. Alright – so let’s talk business. 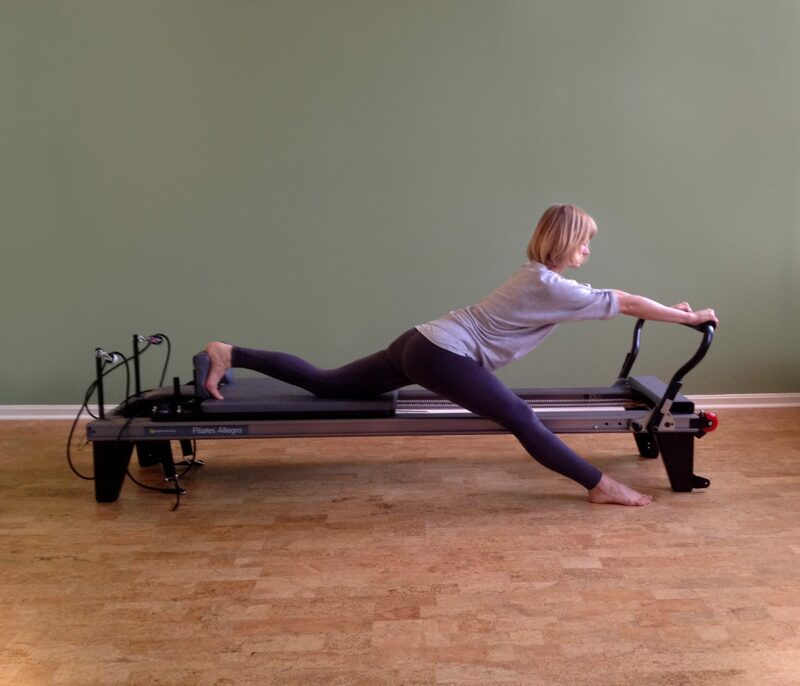 Tell us about Concord Pilates – what should we know? I teach Pilates. But really I teach movement. The studio tagline is “move better – live better”. The purpose of Pilates is more efficient movement in everyday life for more energy, an improved athletic performance by improving biomechanics, and reduced strain and pain during everyday movements. 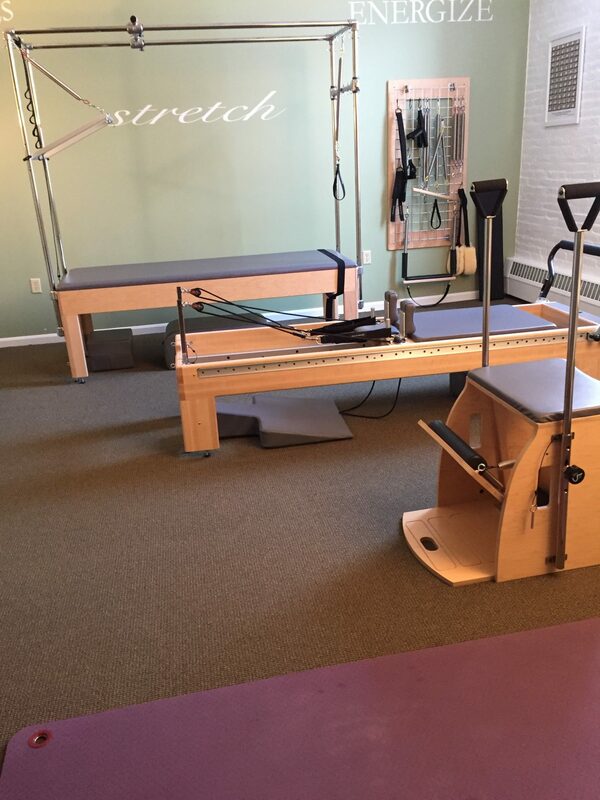 When someone asks me about the difference between Pilates at my studio and other studios, I usually say”If you want to have fun and exercise to music and get a “good workout” and sweat a little, then go to other studios or the gym. If you want your body to feel better or get out of pain, then come see me. Not that we’re not having fun at the studio. Laughter is incredibly healing, I always have a smile on my face and I like to joke a lot throughout the day. One of the things I’m most proud of is the supportive atmosphere in the studio. All our students and teachers are welcoming, caring, and encouraging. It’s incredibly important to me that nobody feels judged. We all try our best, and everyone’s here because they just want to feel better. I’m also proud that after 6.5 years of owning the business, I receive a lot of referrals from physical therapists and chiropractors who trust my work. 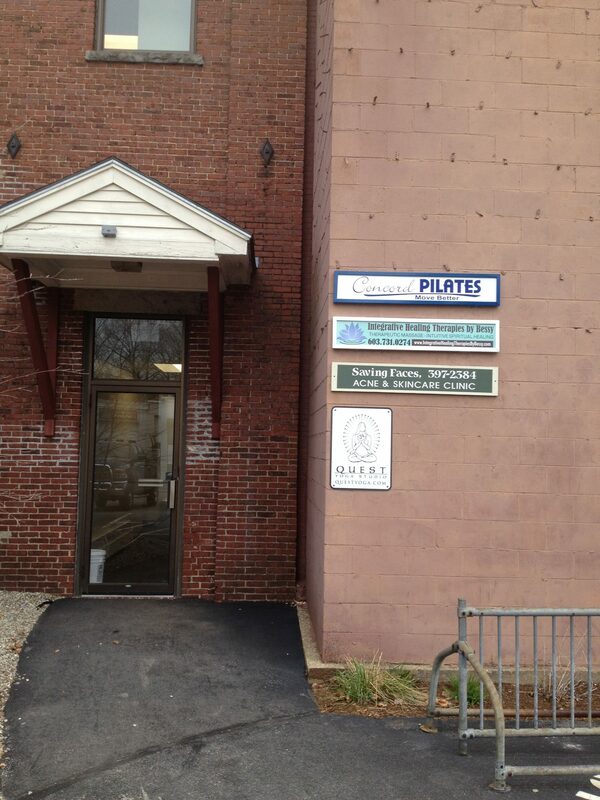 I was told – by my students – that the word in town (Concord has only 30,000 residents) is that if you want to get the best Pilates class, go see Mara at Concord Pilates. As a business owner, I know that people won’t trust me if I tell them I’m good at what I do. But they will listen to my customers. That’s why I have many student testimonials on my website. It’s probably the single most effective marketing tool I’m using. As I’m writing this in the beginning of November, all of our teachers are completely booked through the end of the year, and we had to start a waitlist of people who wanted to start with Pilates. Empathy, knowledge of the human body, mind, and spirit. In the first few years of owning the studio, I had trouble with the thought of selling my services. I spent a lot of time figuring out what approach would work for me. Now I know that the quality of my teaching is my strongest selling point, as well as honestly listening to what the (potential) student wants. I have told several prospects that they won’t lose weight with Pilates because I can honestly not promise that. I don’t want them to start Pilates, and then get frustrated with it because it didn’t do what they had hoped. Because they’ll end up with a story in their head that “Pilates didn’t work for them”. I always try to understand the whole person and try to advise them on what’s in their best interest, not mine. I don’t want to sell them something they don’t want. That’s how they realize they can trust me. A little trick: When talking to a potential client, say “If you decided that Pilates is something you wanted to try…” This takes the pressure off them. Most people immediately say “Yes, I want to try it.” Most of us are used to sales language that goes something like “If you buy within the next 10 minutes, you can save $10.” which puts them under pressure, and they run.